Dorothy Weitz Drummond departed this earth on November 30, 2018, in Hong Kong, following a fall while on her seventh trip to China since 1984. Nineteen days before her 90th birthday, she was truly blessed to be doing what she loved: traveling to distant places, preparing for an upcoming talk, and making new friends. She is survived by her three daughters and their husbands, Kathleen and John Lindstaedt of Indianapolis, Gael and Bret Murphy of Seattle, and Martha and Joel Buchanan of Greenwood, Indiana, and by two grandchildren, Lauren and Drake Buchanan. She is also survived by her brother, Merle Weitz and his wife Carol, of Vienna, Virginia, by her sister-in-law Leona Weitz of Lansdowne, VA, and by four nephews and one niece. She survived her husband, Robert Drummond, who died in 1982, her brother, Donald Weitz, and sister, Alene Vanderklomp. Born in San Diego, California on December 19, 1928, Dorothy was the oldest of four children of Frederick William Weitz, a chemist at Crystal Sugar Company and Dora Ida Sofia Weidenhofer, a homemaker. The Weitz family lived in Oxnard, California, where Dorothy’s early memories included reading about the battle theaters of WWII, finding them on her maps, and having a great desire to travel to these faraway places to better understand the news she was reading; a theme which continued to her last day. At most recent count, she had traveled to 85 countries. Dorothy had many passions, and in following these she leaves a loving family, a legacy of achievement, and a host of friends near and far. Geographic education was her passion. It was exciting to her. It held the key to understanding complex issues of our time, and she was driven to help others understand the world we live in. 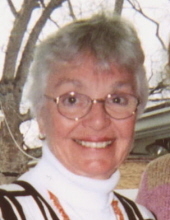 She received a BA from Valparaiso University in 1949 and an MS from Northwestern University in 1951. Her career began at the American Geographical Society, in New York City in 1952, as assistant to the editor of the Geographical Review. She moved to Terre Haute in 1953, when she married Robert Drummond, professor of Geography at Indiana State University. Dorothy learned to love the Drummond family farm in Clark County, Illinois during frequent visits. The farm remains in the family, now for six generations. In late October, at nearly ninety, she still easily climbed up into the combine to enjoy watching the corn harvest, just as she did each year. In 1957-58 Dorothy and Robert moved to Rangoon, Burma as Fulbright Scholars. For the next 40 years, Dorothy continued her teaching at area schools including St. Mary of-the-Woods College and at Indiana State University. She authored and co-authored books, articles and Encyclopedia Britannica subjects furthering geographic education. In 1983, she co-founded Geography Educators’ Network of Indiana. Dorothy's love of choral music began during her undergraduate days, when she sang in the Valparaiso University Chorale. For many years she directed the choir at Trinity Lutheran Church. Her love of music and history were combined in 2017, when she traveled to Wittenberg, Germany to attend the 500th anniversary celebration of the Reformation and heard the Valparaiso University Chorale perform. Dorothy felt deeply about the needs of the less fortunate and wanted to make a difference in their lives. She was instrumental in the resettlement of Vietnamese refugees in Terre Haute. In the mid-1970s, she arranged for housing and employment for over twenty families; they have remained close friends. In 2015, she founded the Terre Haute Chapter of Bread for the World and worked to spread its mission through a growing network of area churches. Civic involvement was also a driving passion; Dorothy was interested in all her city had to offer. She especially enjoyed The Terre Haute Symphony Orchestra, Terre Haute Community Theater, and Swope Art Museum. She supported the Vigo County Historical Society, was a leader in planning the original Banks of the Wabash Festival, was an active board member of United Campus Ministries and was chair of three committees and served as a Girl Scout leader while her daughters were growing up. Her community involvement continued through her recent participation with Citizens for Better Government. Dorothy had a passion for family and friends. Relationships made her life interesting and she was known to be an encouraging and supportive friend. Dorothy was a role model to her three daughters and sons-in-law. They learned that vibrancy and excitement through new ideas can be felt at any age. Dorothy will be missed for her contagious love of travel, her boundless energy (even at ninety) and her convictions. Funeral services, conducted by the Rev. Drew Downs, will be held on Saturday, April 6, 2019 at 11:00AM at St. Stephen’s Episcopal Church, 215 N. 7th St. in Terre Haute, IN. Celebration of Life reception will follow at the Scott College of Business, “Magna Carta” room, at 30 N. 7th St. A graveside committal service will follow at the Medsker Cemetery in Clark County, IL, with the Prust-Hosch Funeral Home in West Union, IL officiating. The family requests that in lieu of flowers, contributions may be made to the “Terre Haute Symphony Orchestra” or to “United Campus Ministries”. To send flowers or a remembrance gift to the family of Dorothy Weitz Drummond, please visit our Tribute Store. "Email Address" would like to share the life celebration of Dorothy Weitz Drummond. Click on the "link" to go to share a favorite memory or leave a condolence message for the family.